Mesh heads and bodies have become more common place in Second Life.. especially as the technology to allow for them to be adjusted by the usual appearance user interface and sliders, and to allow clothing to conform to the underlying shapes is now in place. I have been asked for my opinion on them for professional uses, where you might use a realistic 3D model of your own appearance, e.g. in a classroom or collaborative meeting context. 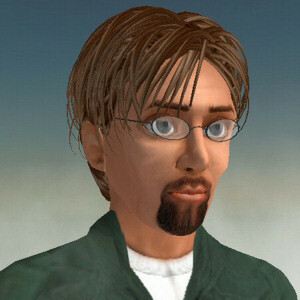 I have stuck with a single identifiable avatar appearance for my professional uses which has not changed in the last 7 years… though it renders better with more recent visual appearance technology in Second Life and OpenSim using good graphics cards, lighting and shadows. It is not based on my own real appearance. Here are a few observations on the current status of mesh heads and bodies in Second Life. I have tried a couple of the 3D model head creation tools over the years… they usually take multiple static images and build a model and you can help the process along by identifying points like tip of nose, bottom of ear, edges of mouth, and eyes, etc. I did a couple quite carefully. All came out looking lime the bad guy in “Grand Theft Auto” and were unusable. I have seen some really well produced professional 3D body and mesh models used for TV presenters and those work.. but assume they costs serious money to do well and would not be suitable for the majority of uses. 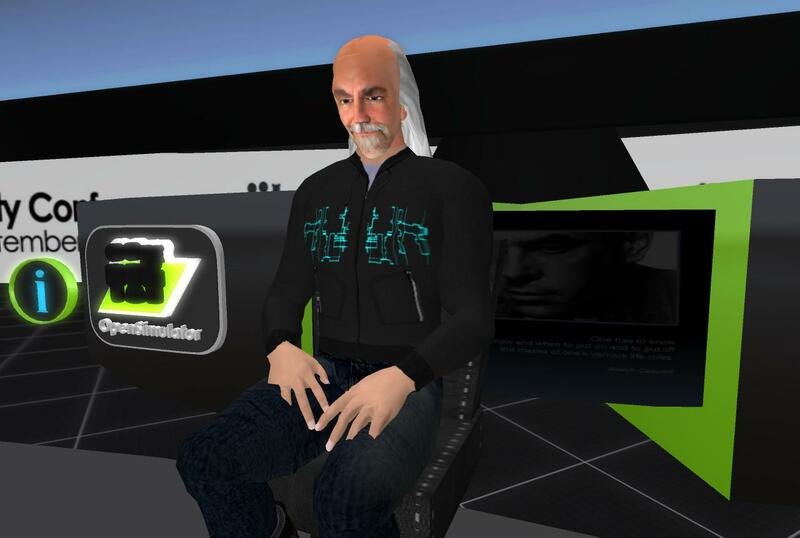 Michio Kaku appearing as a Second Life avatar to demonstrate virtual worlds in the an episode of the BBC Four TV show “Visions of the Future“. Grady Booch of IBM giving presentations in Second Life and OpenSim…see e.g. Early mesh bodies and heads in Second Life were effectively statically sized mesh “attachments” and you just used an alpha layer to make the bits of the normal avatar invisible. very lucky and it mean that your wardrobe was useless.. and clothing was tied to specific (often proprietary) mesh bodies and heads. Even hair fitting became a mess. I have tried the new adaptable and conformable mesh heads and bodies (usually the demos as they can be quite expensive), along with confirmable mesh clothing bought in Second Life to see how they are developing. Most people who now use these new rigged and adaptable mesh bodies and mesh clothing that obeys the appearance sliders But they all have a LOT of usability issues. Head fit to body fit is often clunky and poor and needs “appliers” to retexture, which depends on clothing and skin designers in Second Life providing those for the growing number of mesh related body and head sets. They don’t (yet) easily animate as well as the standard head and require HUDs with animation and expression features. Not easy to use or natural. More for those wanting to take ages to set things up for images or machinima I would say that professional uses for collaborative meetings. This entry was posted in Second Life and tagged Body, Head, Mesh, Second Life. Bookmark the permalink.